Same like the Facebook or Twitter, Instagram is another popular social media platform to share the pictures or videos, publicly or privately. You can follow others Instagram users to get updates about latest shared image or video by them. By default, when you join Instagram your account is set to public. This simply means that anybody can view, any of your shared picture or video, unless you make your account private. While staying with the account type as public, If anybody don’t want to share their stuff with any particular Instagram user, the block feature is always there under the belt. Actually today we are here to discuss about How to View Full Size Instagram Profile Picture, we will later showcase full detailed Instagram features in the coming posts. How to View / Download the Original Full Size Instagram Profile Picture of any person. While visiting any Instagram profile, many people wish to view or download the full size version of the profile picture. Sadly, there is no straight option available to perform this action. The user’s profile picture at Instagram, is showed as round shaped image at top-left of the profile screen. There is no save or zoom option available for the full size Instagram profile picture. Most people are relying on the screenshot option to save any Instagram profile picture. Good News for the readers, you don’t need to rely on the profile picture screenshot option to save the low quality image file. 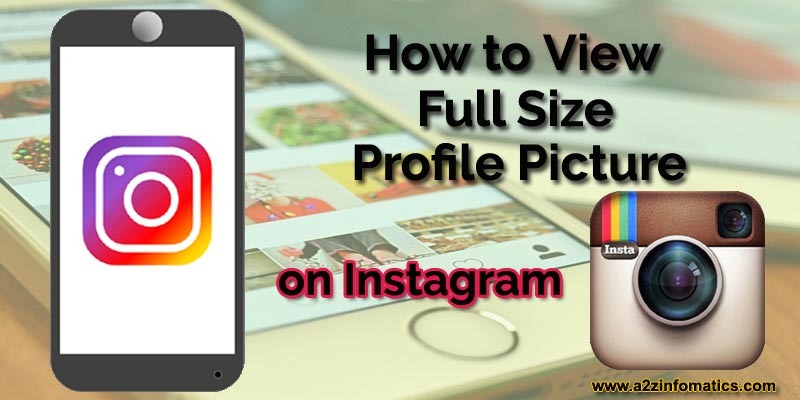 Today, we are here with the complete guide about How to view, download and save the Original Full Size Instagram Profile Picture of any person you like. Complete STEPS to View / Save / Download complete full size Profile Picture on Instagram. 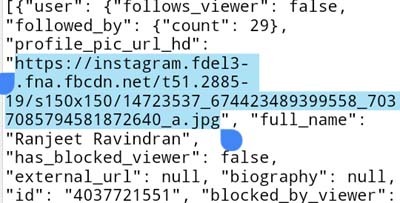 This whole process is about finding the profile picture’s image url at Instagram server. Once we have the actual url of the image, we will simply paste the same in address bar of any preferred internet browser. 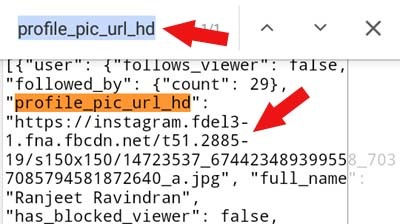 Below are the complete steps to find the actual image url by investigating the source code of Instagram profile, later we will save the full size Instagram profile picture by following the found url in the source code. Don’t worry, the complete procedure is simple and straight. 1)- Open the Instagram app in your device and land yourself on to the profile, for which the full size Profile picture is needed. 2)- On the preferred person profile screen, look for the options menu (3 vertical dots at top-right). 3)- Now, Click / Tap the options menu, and HIT the option “Copy Profile URL”. 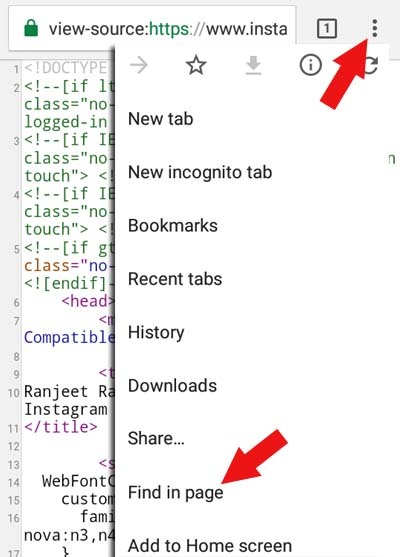 This will store the profile url into the memory (clipboard) for further use. 4)- Now, go to any preferred internet browser (Google Chrome here) and HOLD the address bar for 2-3 seconds. 5)- Holding the browser’s address bar for 2-3 seconds will automatically provide the “PASTE” option. Simply click the same “PASTE” option. 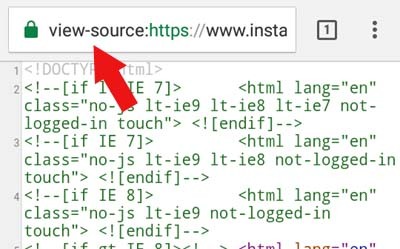 6)- As you can see that the complete Instagram profile url is placed in to the browser’s address bar, just add “view-source:” in the beginning of the pasted URL and HIT Enter. 7)- Now on the screen, you will be with the source code of Instagram profile in text format. 8)- On this source code screen, click the options menu (3 vertical dots at top-right) again and select-hit “Find in page” option. 9)- In the search box at top, type “profile_pic_url_hd” OR “og:image” in the search bar and HIT Enter. 10)- Now, copy the complete image url below the text string (profile_pic_url_hd). See the image below for better understandings. Note: If you had searched for the “og:image” string, you have to copy the content url for the same. 11)- Go to the internet browser’s address bar once again, paste this copied image url and remove the “/s150x150” part from it. HIT enter if the editing is completed. 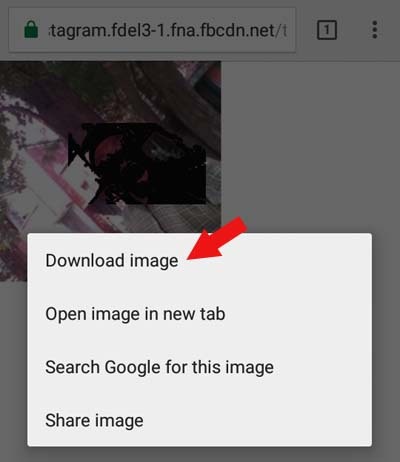 12)- To save / download the Instagram profile picture to the internal storage of device, just hold the image for 3-4 seconds and you will be with “Download image” or “Save image” option. Congo!, You have successfully saved / downloaded Instagram profile picture of your favorite buddy. We hope this trick will be helpful to you in many other ways. 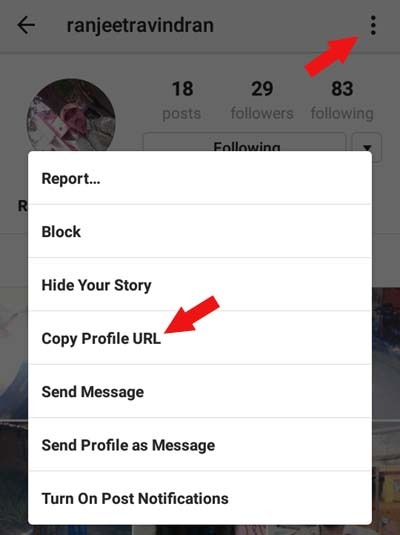 Using this Instagram trick, actually you will view / download the original picture of the Instagram user, posted as the profile picture. You may like: How to Reduce / Resize the Image Size. We don’t understand why Instagram haven’t provided any direct option to view or download the profile picture of any desired user. No worries, Today you people have learned a new trick to view or download anybody’s profile picture on Instagram. We are sure, you will spread this useful information among all your friends by referring this cool stuff to them. If anybody has any other trick of his own, please share the trick to view / download the profile picture, under the comments section below. That’s all we have related to the subject, we will be back shortly with some more cool stuff for the community. Thanks for the VISIT, keep visiting this Blog. God Bless Everybody.